A couple of years ago, this ensemble put out the excellent Further Explorations as their debut, and now, for their actual further musical explorations, we have Adventures in Time and Space. This group is composed of five outstanding writers who contribute compositions more or less equally. The core of the group is intact from before: Sumi Tonooka (piano), Erica Lindsay (saxophone), Samantha Boshnack (trumpet), David Arend (bass), and Salim Washington (various woodwind instruments). For this outing, they’re joined by Michael Spearman (trombone) and Johnathan Blake (drums). The ensemble sound is full and varied, and all of the composers make good use of the colors available, as well as the talents of all the players. Each of the six tracks (one each from the five core members plus a second track from Lindsay) has qualities to recommend it, with everyone contributing as a soloist, never using their own pieces to spotlight their own playing at the expense of the others. The music is in a wonderful realm informed as much by Claude Debussy or Maurice Ravel as by Duke Ellington, Gil Evans, or Charles Mingus. The playful intertwining of flute, tenor, trumpet, and trombone on Tonooka’s “Transition Waltz” is one of many examples where the rich harmonic textures are pieced together by different instruments playing independent lines that function both individually and as part of a greater whole. Adventures in Time and Space may not be the kind of jazz that gets you up out of your seat to dance, but it’s a far cry from the bland offerings of many more traditional artists. 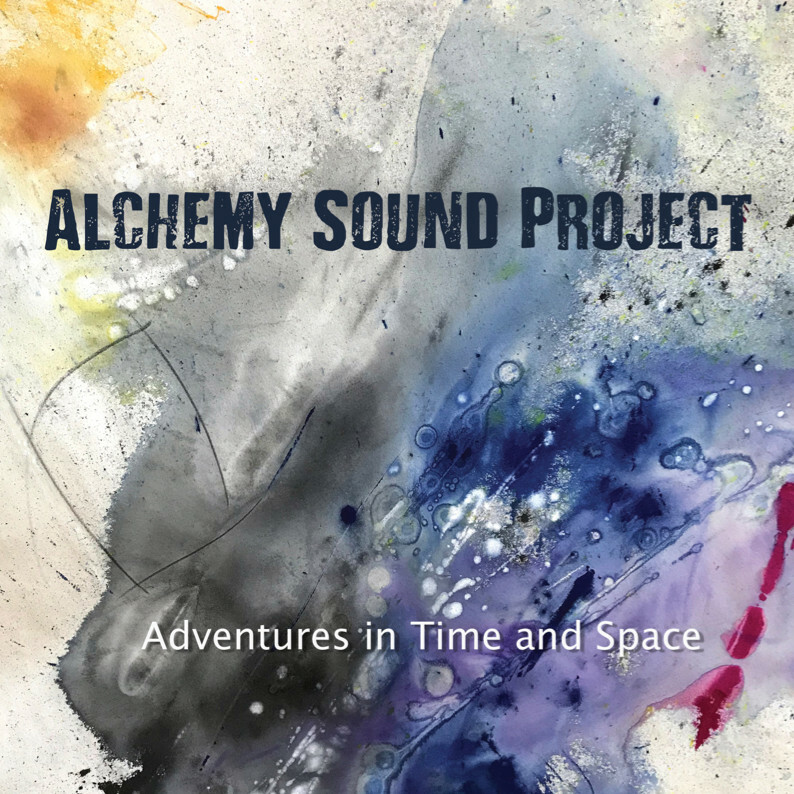 Alchemy Sound Project is informed by history and aware of it, but bound by the spirit of exploration rather than adherence to past forms.